Have you ever wanted to try something different, and spend a night in a snowhole, in Scotland. It is a survival technique adopted by many of the explorers, survivalists and adventurers through the centuries. 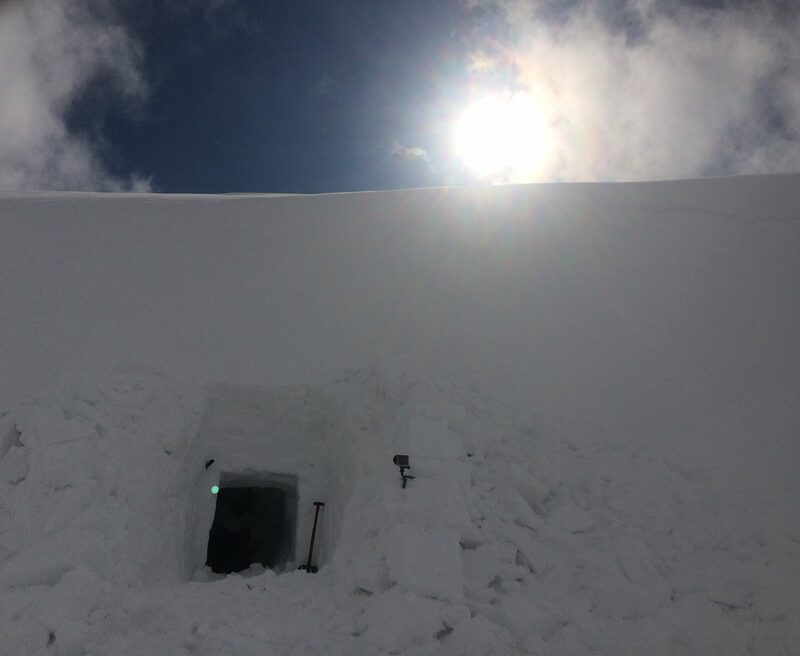 On our snowholing course, you have the opportunity, under our expert guidance, to build your own snow shelter and spend the night in them. The snowholing course is 2 days long, and is run in the West Highlands, using Fort William as a base. The client-to-instructor ratio does not exceed 6:1, to ensure that we can give you our fullest attention. This course is suitable for anyone, no previous experience is necessary. Winter conditions in the Scottish Highlands can be demanding, and a fair degree of fitness and determination would be beneficial. If in doubt about whether the course is suitable for you, please don’t hesitate to contact us. Before we set off on day one, we will spend time assessing the weather, snow and avalanche conditions, in order to learn about safe route planning and detecting potential avalanche terrain, and planning a journey. Once we have checked all of the kit, we set off into the mountains to a site which would have accumulate enough snow for us to dig our snow shelters/snow holes and our accommodation for the evening. In the evening, we will settle in for a cosy evening of cooking and admiring view, before nodding and snuggling up in our sleeping bags. In the morning we will have breakfast with fantastic view, before we set back off to civilisation again. The snowholing course location tends to be dictated to us by the weather, so we stay flexible and will either snowhole in the West Highlands or the Cairngorms. If you are unsure that the snowholing course is suitable for you, please do not hesitate to contact us on info@riseandsummit.co.uk or call us on 07775 853 348, and we would be happy to help.